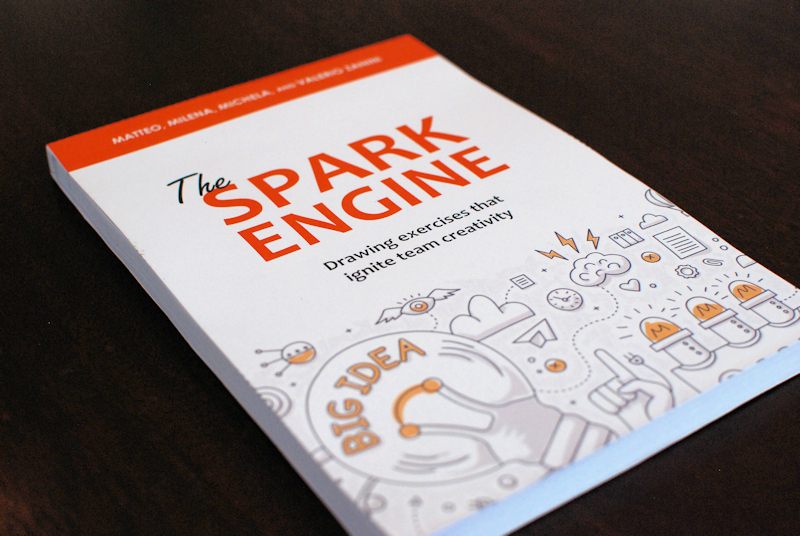 Used by teams and in business settings of all kinds, this book describes creative exercises that foster team-building and warm up the right side of your brain - the creative side. Grab a pencil, a marker, or a pen, and get started. Share these exercises with your team, and enjoy the creative energy. We call this the “Spark”. Over the years, I have facilitated many brainstorming and design sessions with a variety of teams. Sometimes these sessions occurred with a diverse group of people, who had never worked together, and often had not even met each other before. The challenge was always to create a sense of team, to get people comfortable working together, and to minimize any impediment to sharing ideas freely. Often, these meetings start with some sort of icebreaker to quickly establish a social connection and lower psychological barriers to working with each other. The Internet and the bookstores are full of examples of effective icebreakers, and I have tried many different kinds. Many of these icebreakers involve everyone going around the room and sharing their favorite band, the book they are currently reading, or the like. These exercises can be effective in bringing people closer together, but they also have limitations. Personally, during those types of exercises my attention inevitably wanders to planning what I am going to say when it’s my turn. Then, after I have shared my story and others are talking, I keep thinking about what I just said, and how I could have delivered it better. When the exercise is over, I may have really listened to only a handful of stories, and five minutes later most memories of what anyone said are gone. So, I like to do something a bit different to really get peoples’ creative juices flowing and render the experience more interesting and memorable. I have found that creative drawing is a terrific way to really jump start peoples’ brains and usually share some laughs, which both promotes creativity and lowers peoples’ defenses and fear of judgment. This is particularly important in sessions that require actual brainstorming for things like prototype design, but applies as well to any team-building setting. 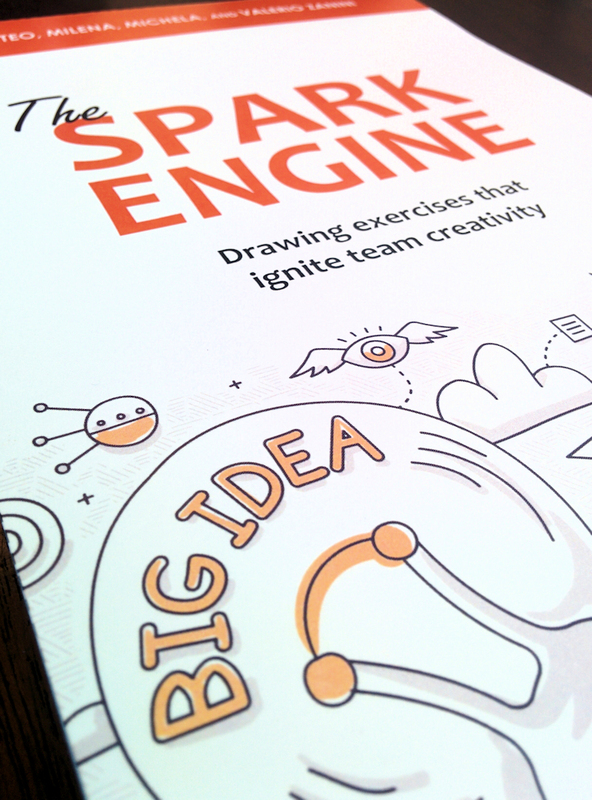 This book brings together many ideas from all the icebreaker/creative drawing experiments I have conducted over the years, in a simple format. I ask that everyone draws something related to a story about them or some aspect of their lives, so that through the drawing the artist is sharing a personal element with the team. Sometimes, there is a true Picasso in the group, but most people are not talented artists. The value of the exercise lies in the process, not the quality of the product. The act of drawing engages the right side of the brain, and it mixes visual, verbal, and kinesthetic experiences, so it works for various types of learning styles. The drawing process can be unnerving, and will undoubtedly push many beyond their comfort zone. This process in itself creates a bond amongst the participants, as they all confront a common challenge. Once the drawing is complete, a great deal of the psychological pressure has passed. Presenting the drawing is then relatively easy because the drawing is already complete and cannot be changed. It is therefore easier to listen fully to others. The final step is to post all the drawings on the wall so that they remain visible throughout the session and people can remember what another team member drew and why. 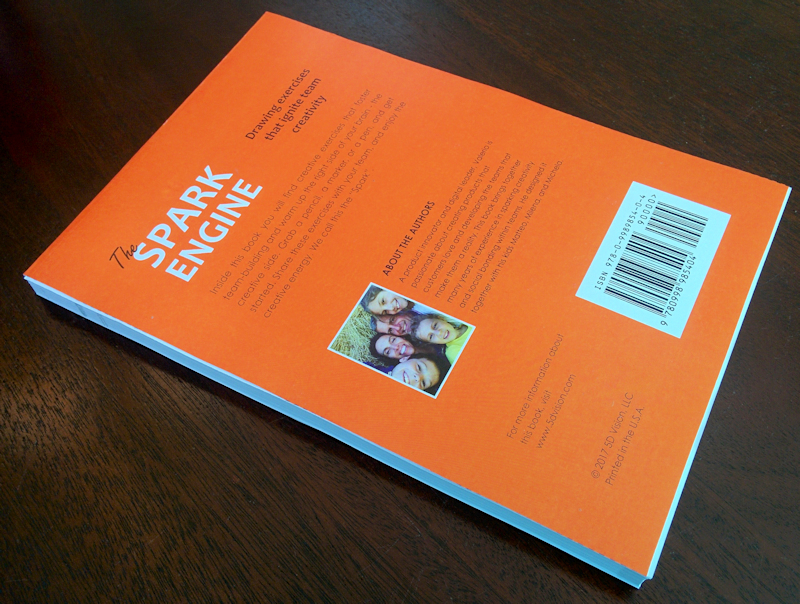 I designed these exercises with the help of my kids Matteo (9), Milena (8), and Michela (5). After all, they are the creative brains in my house! We spent days drawing images and developing the creative prompts. 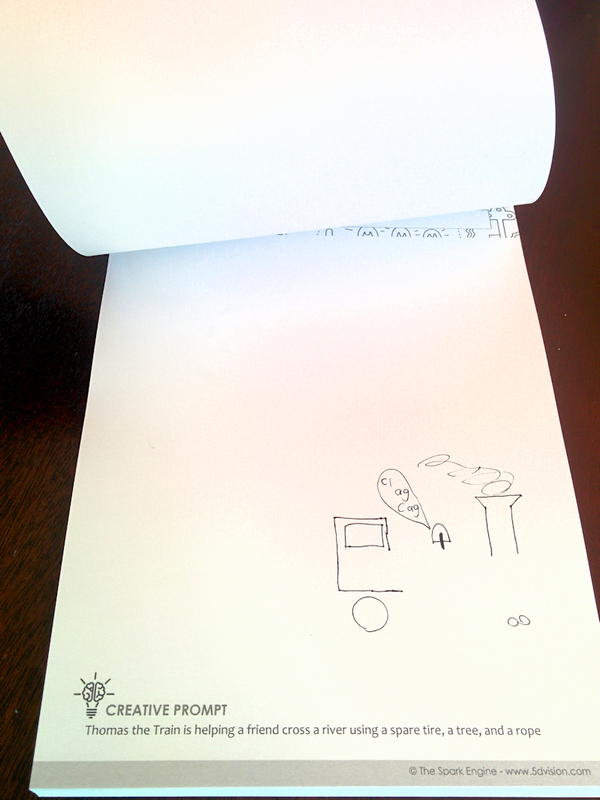 They tested some of the drawings and gave me their thumbs up to move ahead with publication. We hope you like using these exercises as much as we liked putting it all together! 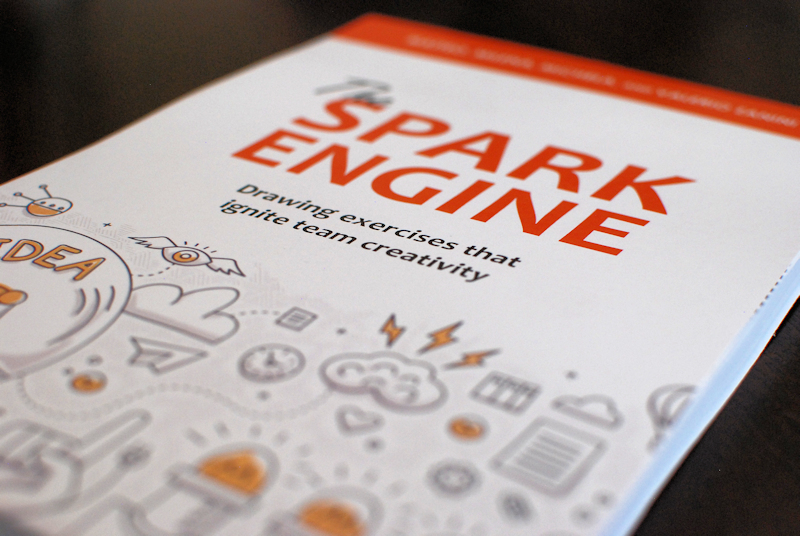 Enjoy your Spark creativity! These are drawing exercises for teams of any size. The ideal exercise takes between 10 and 15 minutes depending on the team’s size. I recommend conducting it right before a creative session like brainstorming or prototype design. Include everyone on the team – you too. Everyone gets to draw, and to share with everyone else. Each page has a different exercise. Randomly pick a page, or select your favorite. 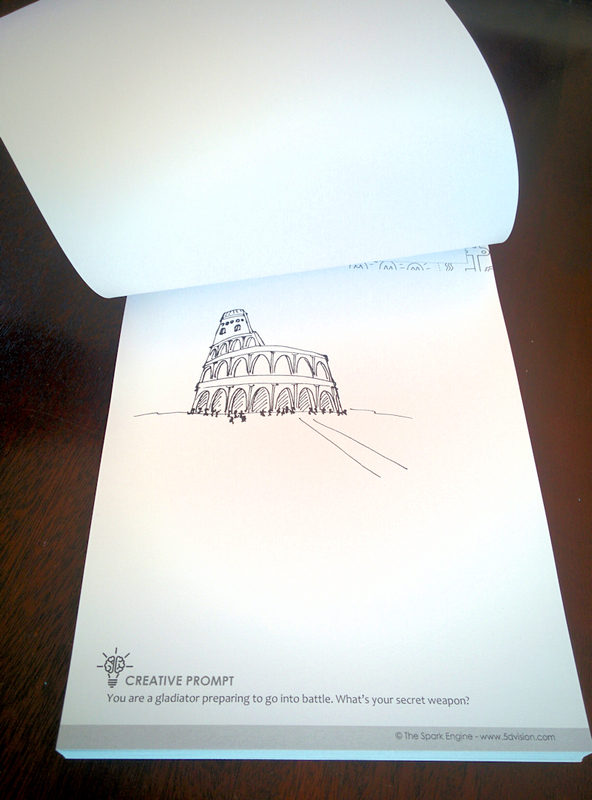 Your task is to complete the drawing on the page, using any of the elements already present on page, or the creative prompt. Think of the creative prompt as brain vitamins to spark your creativity. You don’t have to follow the creative prompt if you don’t want to, it’s just there to help you if you need it. When done, write your name at the top and wait for everyone else to finish.